Thelma Hobson was born in February 1968. She started painting at the Lockhart River Arts Centre in late March 2015. Her inspiration to come and paint was from seeing the works of other artists from the Art Centre. She currently paints about her identity, culture, land and community. Her works have been exhibited in group exhibitions in Cairns, Darwin, Hobart and Houston Texas USA. 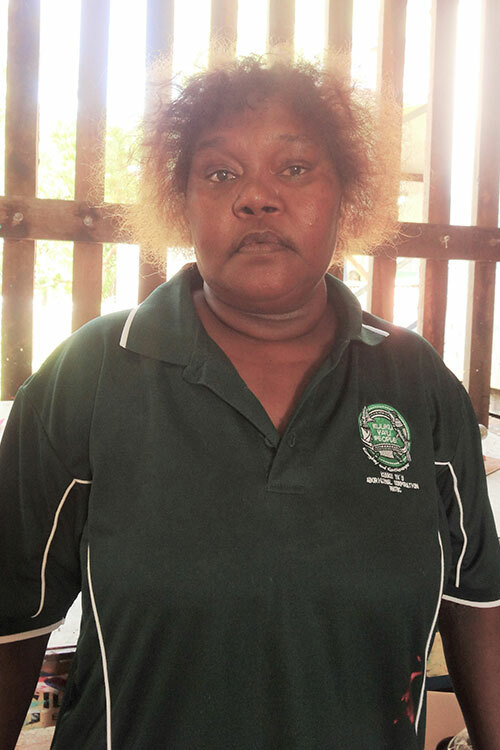 Thelma Hobson was part of a group of 4 Lockhart River artists who attended the Cairns Indigenous Art fair in July 2017. In 2018 Thelma’s paintings will be available for purchase at the Cairns Indigenous Art Fair in July and the Darwin Aboriginal Art Fair in August 2018.